Note: the following article is the opinion of the author and may or may not be accurate or acceptable to most readers. The recent Pluto flyby by the Horizons probe(July 2015) was obviously faked as were all the color pictures of Pluto and its moons. ALL of the flybys and pictures from NASA of the last 56+ years were faked, including the Apollo Moon landings and the photos of Earth. NASA never went beyond a few hundred kilometers into "space" -which doesn't even exist in our enclosed system. Everything was filmed and staged on Earth. A close look at all the Nasa photos will reveal that they are nothing more than artistic renderings or CGI's(computer generated images)with lots of cropping, pasting, and other Photoshop techniques. 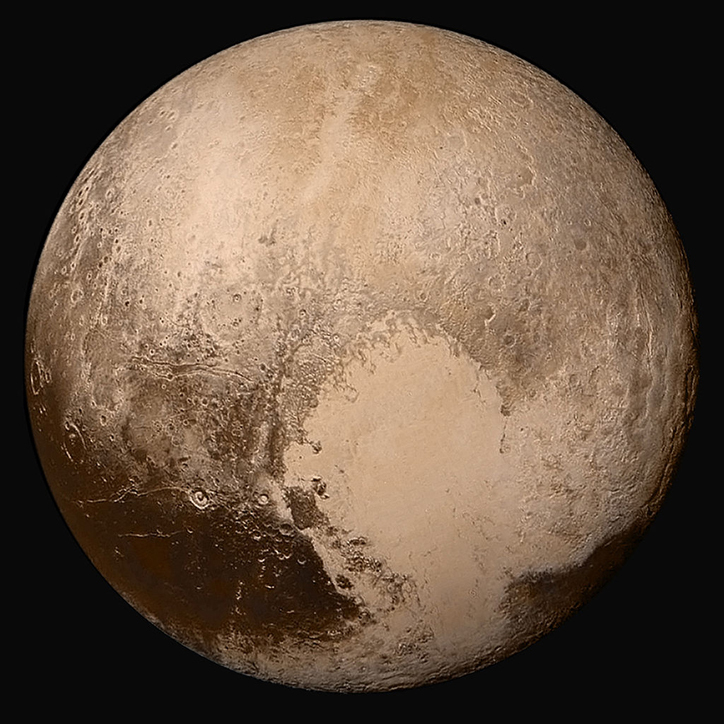 The latest Pluto pictures are a case in point. They are imagined or made up to look as real as possible. The best Pluto pictures are still as tiny points or balls of light. The Hubble and other space telescopes or satelites are not in space nor are their images from space. Everything is still ground based. Most of us still do not know what the planets really are other than lights, and they are not nearly as far or as large as we are told they are. Same for the Sun and Moon. 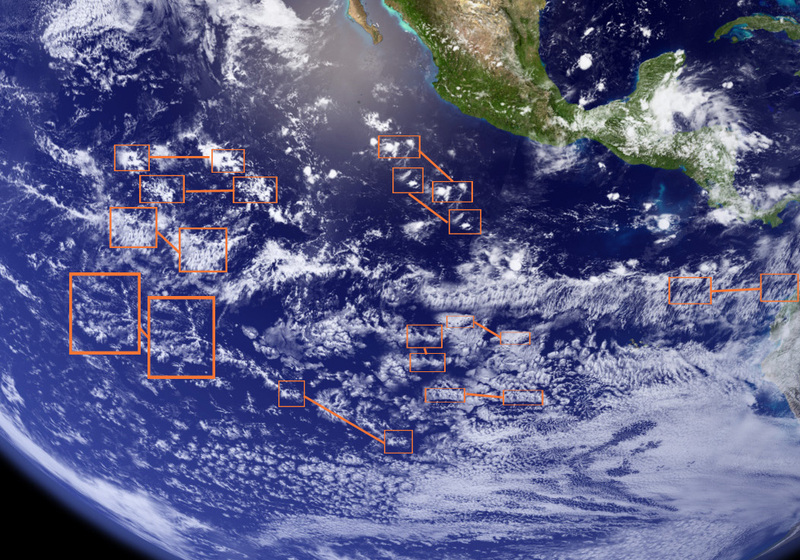 All of them may be as close as a few hundred miles up(or closer) and the stories we're fed about them being thousands of miles in diameter or millions of miles out are all lies. We have been totally deceived for over 500 years, but especially the last 50+ years(which is when NASA came to be). 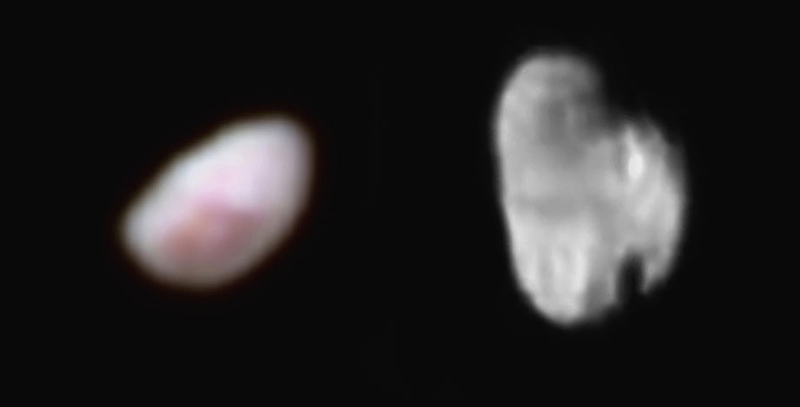 The pictures of two of Pluto's moons, Nix and Hydra(below) are laughable at best. They look like pebbles or enlarged grains of sand and deliberately set out of focus. With all of our sophisticated technology is this the best they can do? What an embarrassment! And most of the public buys it! Remember the beautiful 1972 Apollo 17 Blue Marble picture of Earth. That was faked too, Close examination shows cloning(see below). This picure, used everywhere in books, publications, and the Internet, is an artistic rendering and/or CGI! Clouds BEHIND the Sun and Moon absolutely PROVE they are very close to us. According to the Vedics, the Sun actually USES water or humidity to power itself! Ever since it was discovered 1n th late 1950's that we live on a flat Earth enclosed in a dome, with all of the heavens inside, Nasa was set up to hide this truth. And the deceception hasn't stopped, although it is now quickly unravelling. Carl Sagan, Neil deGrasse Tyson, Bill Nye, and all the other deceivers are slowly but surely being debunked and exposed, and it's only a matter of time before the whole organization(NASA) disappears or comes clean.